The Dionex 1100/1200 measures major anions and cations present in water samples: F-, Cl-, NO2-, Br-, NO3-, SO42-, PO43-, Li+, Na+, NH4+, K+, Mg2+ and Ca2+. Samples are injected into an ion-exchange column that separates the ions according to their retention times. A conductivity meter detects the concentrations of ions eluted from the column. The instrument is equipped with an auto-sampler that can accommodate 45 samples. About 30-35 minutes are required to analyze each sample. A minimum sample volume of 5ml is needed; the detection limit is approximately 0.1 mg L-1; the instrument gives a linear response over a range of 0.1 – 500 ppm. 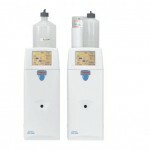 Samples must also be diluted to concentrations below 50 mg L-1 and a total conductivity of 500µS. Water samples MUST be filtered to remove particulate matter and organic matter. 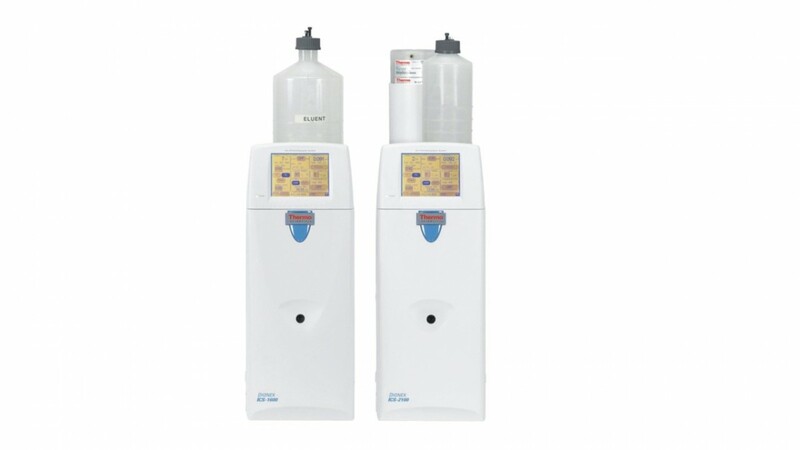 Samples for cation analysis can be acidified to prevent algal growth, the formation of precipitates or adsorption of ions to the walls of the storage bottles. Jackson, P. (2000). In Ion Cromatography in Environmental Analysis (pp.2279-2801). John Wiley & Sons, Ltd.